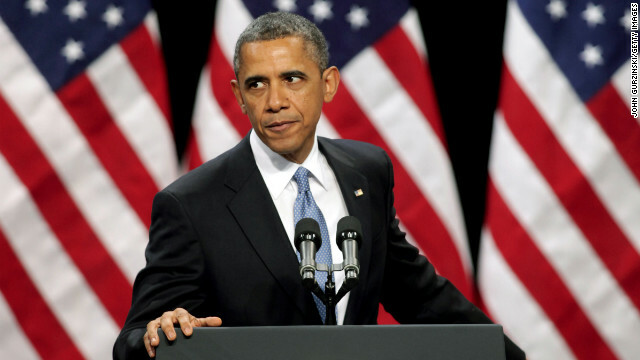 (CNN) - President Barack Obama said Wednesday he wants to get an immigration reform package passed as soon as this summer. "I'm hopeful that this can get done, and I don't think that it should take many, many months," Obama said in an interview with the Spanish-language network Telemundo. "I think this is something we should be able to get done certainly this year, and I'd like to see if we could get it done sooner, in the first half of the year if possible." Obama previously said he wanted to accomplish immigration reform within the first year of his second term, but his latest comments represent a more rushed timeline of his goals. The president said "now's the time" for reform and highlighted his agenda Tuesday in a Las Vegas speech, specifying three pillars: better enforcement of immigration laws, providing a path to citizenship for the more than 11 million undocumented immigrants already in the country, and reforming the legal immigration system. His speech came one day after a bipartisan group of eight senators outlined their own framework for immigration legislation. A main sticking point between the two plans involves a path to citizenship: Obama says he wants a "clear" path, while the senators want a "tough but fair" path and only after bolstering the nation's border security. Sen. Marco Rubio of Florida, one of the so-called Gang of Eight senators, criticized the president Tuesday for not making border security more of a priority in his proposals. Obama, however, said Wednesday in an interview with another Spanish-language network, Univision, that his administration has already "done more on border security in the last four years than we have in the previous 20." "We've actually done almost everything that Republicans asked to be done several years ago as a condition to move ahead on comprehensive immigration reform," he said. The president added that he doesn't want to "create some vague prospect" that would kick immigration reform down the road, or "mañana," as he put it. "We want to make sure that we're very clear that this legislation provides a real pathway," he said. Asked why he hasn't met in person with any Republicans in the "Gang of Eight," Obama said he's "happy to meet with anybody" but added that lawmakers have a different way of going about forming bipartisan deals. "Oftentimes what happens is members of Congress prefer meeting by themselves to build trust between Democrats and Republicans. They want assistance from us but sometimes they want back channels, and if they want to have a public meeting, if they want a private meeting, anything that is necessary to move this forward, we are happy to." While Obama issued an executive directive last year that deferred the deportation of some young undocumented workers, he said Wednesday that broader reform can only come from the legislative branch. "I'm not a king," he said in the Telemundo interview. "You know, my job as the head of the executive branch ultimately is to carry out the law ... this is why we need a comprehensive immigration reform to make sure that once and for all, in a way that is ratified by Congress, we can say there is a pathway to citizenship for people." If Congress fails to act in a "timely fashion," however, Obama has said he will send up his own bill on the issue. - CNN's Elwyn Lopez contributed to this report. There have been so many attempts at this and so many failures that geting a draft bill up for discussion should not take a year to do. As the president says fences, drones, increased border security guards, and much fewer illegals being caught trying to get in. Why are the House and senate plans in process not being looked at and combined into one effort. perhaps thats too simple and idea of a true bipartisan effort. When a border is over thousands of miles long its never going to be illegal entrant tight. What you can do is make the law so unappealing to illegal immigrants re getting work, no medical cover, no benefits, no food stamps etc etc. without a pending citizen ship application or a valid passport and work visa and then a certified address from your employer and landlord. None of those and you are on a bus or plane back to wherever chargeable to the Mexican government. Look at his face – always angry – always threatening. He's not a leader. He has issues – and an agenda. What was his big quote – "not the blue states, not the red states, but the...." the divided states of America? Brainwashed half the country. Well, Benghazi is still being investigated, and he's the end of the line. Clinton exits, and there's no one there to buffer his lies anymore. In 1986 Congress promised US Citizens that there would only be one legalization program and that workplace and border enforcement would take place to end illegal immigration. Of course the legalization happened, but workplace enforcement has been so lax that we have over 8 million people working illegally in the country at at time when there are over 20 million US citizens and legal permanent residents un or underemployed. Today the problem is at least 4 times the size in 1986 and our so-called representatives are representing only foreign nationals and businesses who want cheap labor. Until the government mandates and enforces mandatory E-Verify to check every job, current and future hires so that the illegal workforce has been reduced to less than 500,000 our politicians are feeding us lies about enforcement. After 26 years of non-enforcement the government has no credibility in enforcement. We will not let them hold enforcement hostage to yet another legalization program. Our legal immigration works perfectly fine, granting over a million new green cards each and every year. What we need is immigrants who respect our laws, not those who flout them. Bottom line, If he wants it done then he needs to not dictate to everyone it's either his way or the highway. I want to know when this jerk is going to finally get around to working on the important issue for American CITIZENS for 4 years straight – THE ECONOMY AND JOBS; instead he's working harder for ILLEGALS! I strongly advise that President Obama do this, one way or another. DO NOT let the deadline slip like you did with Obamacare. Republicans will only do things in their own self-interest, one of which is to deny you any legislative victories. Repubs need to put up or shut up; our country has suffered enough because of their obstruction. Obama is for the hispanic, an the hispanic is for obama. When the people get done talking its what obama says goes because he is the president not the people. Yeah! And, you know what you can with ALL YOUR THREE PILLARS of immigration! (Sun don't shine ring a bell?) When are you and your equally clueless flunkies going to start worrying about América's own Américans?! It's about time you stopped coercing people and buying votes with taxpayer funds. Most of all, Mr. Obama, stop your lying and absurd spending. Over a million dollars to make a non-sencical/unworthy cause trip to Sin City. Come on!!! Get off your spending and performer wannabe dreams. Do what you were elected to do! Work with him; stop trYing to block everything he tries to do. Mr Obama, with all due respect to your Office, what American, wants, needs and deserves is a thought and open debate and discussion on this issue in congress and a resolution that ensures that steps are taken so that we are not right back in the same spot in 10 years and those that have broken the law, not some rules like you like to say, face consequences and are not given an unfair advantage over those following the laws of our land. That is not something we should rush thru just because you demand it and are running away on Spanish speaking networks telling folks how you will not accept a delay. Why is it with Mr Obama everything is we need to do NOW!